Highway projects receiving federal aid and requiring a traffic noise analysis must use the latest version of the FHWA Traffic Noise Model (TNM) according to 23 CFR 772.9(a). 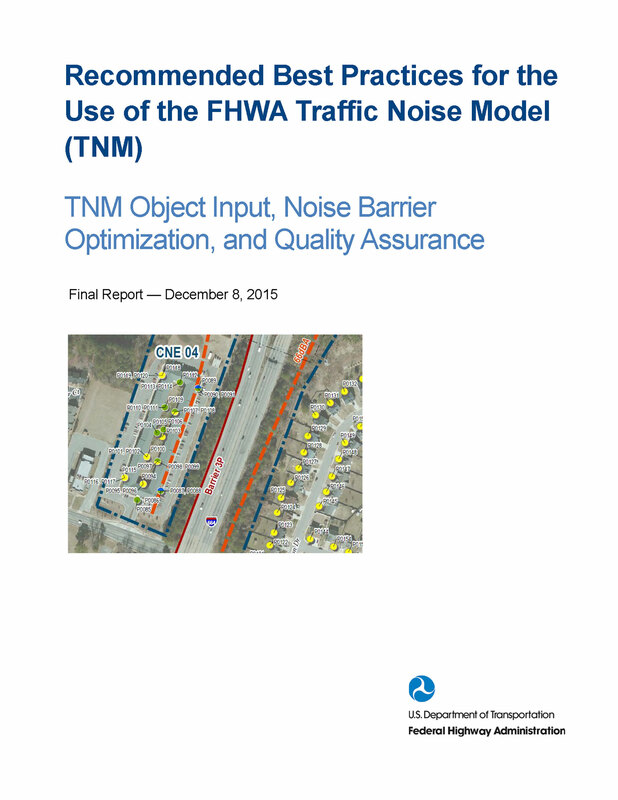 While the FHWA TNM provides for the accurate prediction of traffic noise levels along the wayside of a highway, accurate results are not necessarily guaranteed. Accurate results depend upon the quality of the input data and the care with which the user replicates objects in the physical world with objects in the virtual world of the FHWA TNM. HMMH led a study for FHWA that provided TNM users with the best sources for information and input data critical to the development of an accurate model of highway traffic noise. For this study, HMMH developed the best practices and guidance related to sources of quality geospatial and elevation data, traffic distributions across a multiple-lane highway, noise barrier optimization, and quality assurance of TNM models and noise study reports. One of HMMH’s tasks was to develop a spreadsheet-based noise barrier optimization tool for noise barrier analysis and design, which allows TNM users to quickly determine the appropriate balance between a low-cost noise barrier design that meets the minimum acoustical requirements and a barrier design that provides the most benefits within the state’s cost-effectiveness limit. The noise barrier optimization tool also computes an Effectiveness/Cost Index for each barrier design under evaluation. The study culminated with the publication of the Final Report: Recommended Best Practices for the Use of the Traffic Noise Model and two companion webinars.